This year my kids and I brought in Christmas Early. 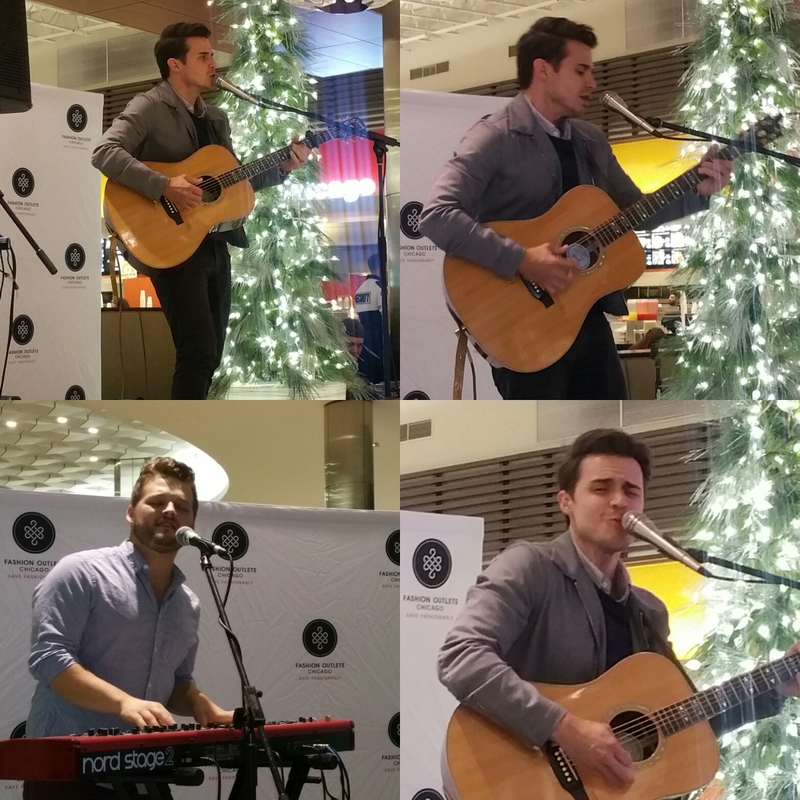 We were able to attend a press event for the HGTV Santa Headquarters followed by a holiday concert from American Idol season 8 winner, Kris Allen. 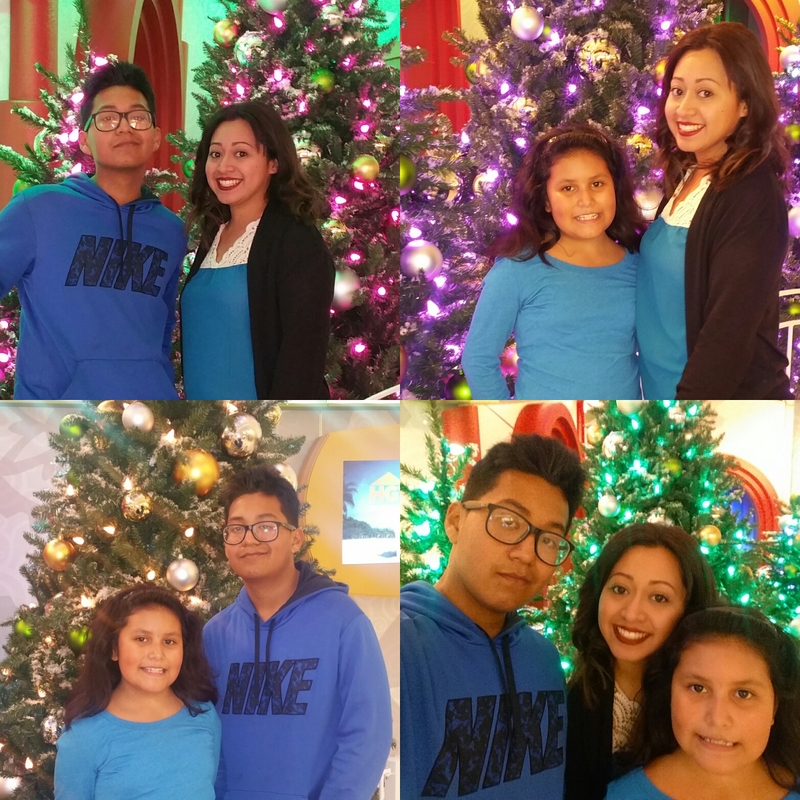 All of this took place at one of our favorite malls, the Fashion Outlets of Chicago. Kris Allen performed his new Christmas album “Somethin’ About Christmas”. 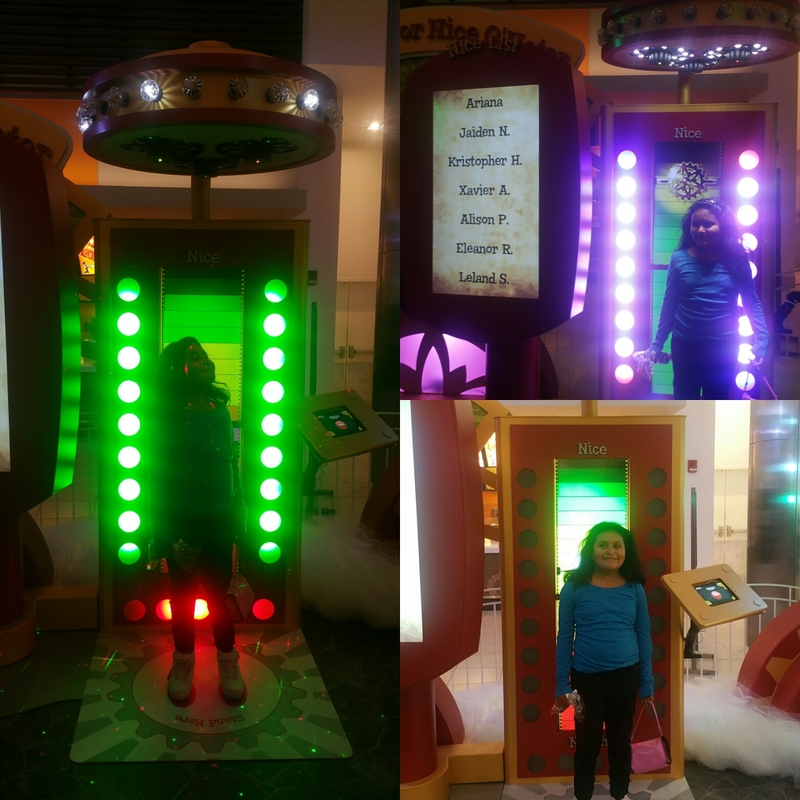 My daughter was super excited about seeing the #SantaHQ, my son now 13 was okay with going seeing his sister get excited and he loves doing family things. We started off by checking in at the front where we were asked if we wanted to download the Elf-Ray Vision app or use a provided tablet to discover the enchanting word of Santa HQ in stunning 2D or 3D digital scenes. 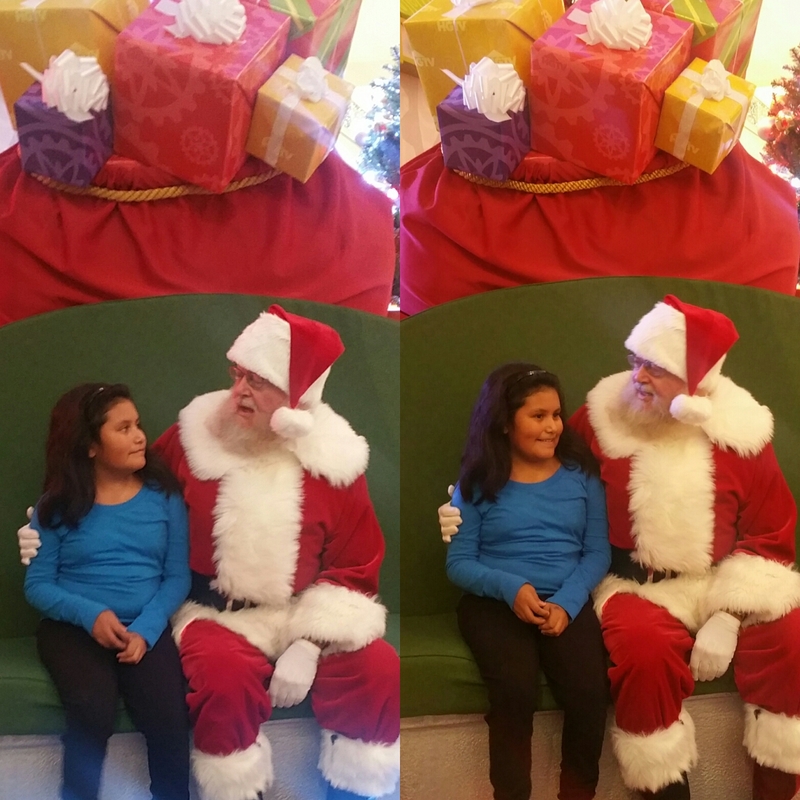 My daughter then got scanned to determine if she is on the Naughty or Nice list this year. Here she is in the Naughty or Nice O'Meter. Ariana was very excited to know she had made the Nice list. We then walked into Santa's Workshop where we were able to snap an "Elfie Selfie" in Santa's workshop and star in your own holiday video. We starred in an Elf dance party in Santa's workshop. After starring in our video, we walked into the North Pole Observatory where we were able to experience Elf-Ray Vision in a 3D environment. Ariana loved using the tablet that was provided to experience all the 3D features in the observatory. 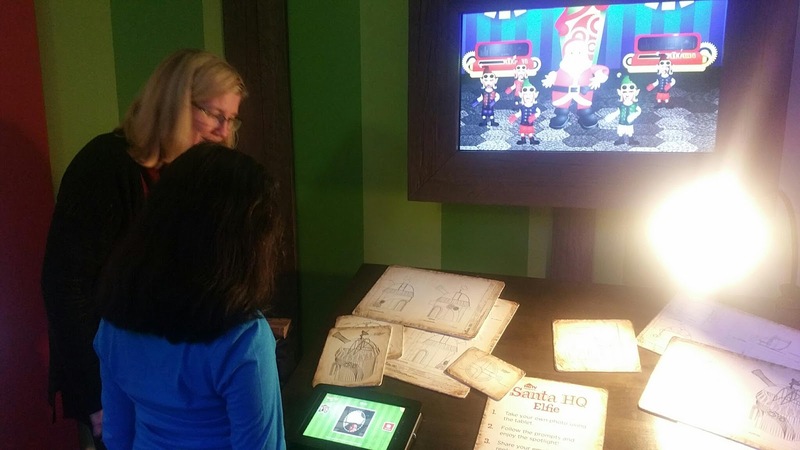 She was also able to scan the wheels and other items to see elves come to life on the tablet. Lastly, we were able to meet and take a picture with Santa. He sat inside his modernized sleigh while Ariana talked to him about what she wanted for Christmas. Santa said she had a long list this year, yikes! with a complimentary 5x7" photo package. After visiting the headquarters, we were able to see Kris Allen Live in concert. Like I mentioned above Kris is the winner of American Idol Season 8. Kris Allen performed his new Christmas album “Somethin’ About Christmas”. We all loved his music, even my son, which usually into to pop or hip hop music these days. Santa HQ officially opened Friday, November 11, and will be open seven days a week through December 24. Visitors are invited to start making reservations now by visiting www.santa-hq.com. Walk-ups are also accepted. Special holiday hours will take please visit www.santa-hq.com for more information. shopping center that is home to more than 130 designer outlets. Fashion Outlets of Chicago is anchored by Bloomingdale’s The Outlet Store, Forever 21, Neiman Marcus Last Call, Nordstrom Rack and Saks Fifth Avenue OFF 5TH. In addition to its anchors, the center is home to world-class brands including Prada, Gucci, Michael Kors, Tory Burch, Banana Republic, J.Crew, Nike, Swarovski and many others. Located minutes from O’Hare International Airport and Chicagoland’s major highways, Fashion Outlets of Chicago is easily accessible from the city and the suburbs. Free parking is offered in a convenient, indoor seven-level “smart” parking garage where red or green lights above each parking space indicate availability for drivers to easily find a parking space. "Help through Holiday Giving” toy drive. Toys for Tots. Donations will be accepted at Concierge Services through December 18. Shoppers who donate a toy will receive a free general admission ticket to the Museum of Science and Industry, How cool is that??? Thanks to #loveHGTV & Fashion Outlets of Chicago for the invite to the #SantaHQ.